All roads lead to the headquarters of English Rugby this coming Wednesday. It is the finals day for Women’s and Men’s rugby union, organised by BUCS, at Twickenham. This year features the universities of Durham, Leeds Beckett, Hartpury and Exeter. Since 2008 the team at TalkingRugbyUnion have been involved in University rugby as players, journalists and analysts; bringing their experiences from the universities of Bath, Manchester Met, Leeds Beckett, Sunderland, Durham, Nottingham Trent, Derby, Sheffield Hallam, Hartpury and Cardiff Met. 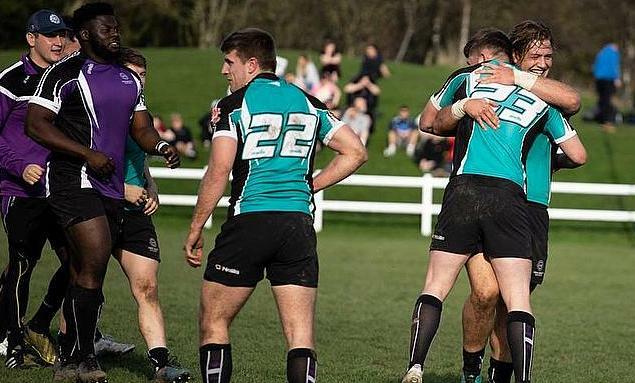 Appointed as BUCS Official Rugby Union Media Partner in 2014/15 the team are acknowledged as the leading advocates of University Rugby; the content featuring on Google News and NewsNow(UK). To add a greater balance, one of Scotland’s leading rugby writers, Gary Heatly joined the team to provide additional coverage of men’s and women’s rugby in Scotland. The importance of Varsity Rugby in the University calendar is not overlooked at by the team; the relevance demonstrated by the attendance figures. The excitement for Wednesday 10th April is mounting and TalkingRugbyUnion will be heading south en masse to provide social media coverage of the day; joined by some very special guests. The team put out a podcast leading up to the final, where they discuss the prospects for the final. Have a listen on your way to the final and come and join the coverage - Click here.